Published: Jan. 6, 2016 at 04:21 p.m. Updated: Jan. 9, 2016 at 03:47 p.m.
Around The NFL's Dan Hanzus has labeled this Saturday afternoon matchup the "No Respect Bowl." The Chiefs and Texans are a combined 16-2 since Week 8. Over that same span, Houston ranks first in every major defensive category while Kansas City ranks just behind in points per game and third-down defense. If not for Ron Rivera and Bruce Arians, we would be hearing a lot more about Andy Reid and Bill O'Brien as legitimate NFL Coach of the Year candidates. Giving Alex Smith more responsibility at the line of scrimmage than he ever allowed previous quarterbacks such as Brett Favre or Donovan McNabb, Reid has recovered from an abysmal September and the loss of All-Pro tailback Jamaal Charles to join the legendary Paul Brown as the only coaches since the 1970 merger to make the postseason after a 1-5 start. Is it possible to botch a quarterback room to a greater degree than O'Brien did in September after a Hard Knocks audience witnessed him swearing that both Brian Hoyer and Ryan Mallett can play? Hoyer lasted just three quarters into the season opener before O'Brien came with the hook. Since then, the Texans have gone through nine quarterback changes, the most recent handful out of necessity rather than indecision. Minus Arian Foster, O'Brien and coordinator George Godsey have been winning with a smoke-and-mirrors offense -- relying on gadget plays, a patchwork backfield and DeAndre Hopkins' ability to physically beat defensive backs at the catch point. "Eleven years in the league, and this is the first year I've seen a coaching staff put a stamp on the team like this," wide receiver Nate Washington recently told NFL Media's Albert Breer. "Normally, on offense, a guy goes down, and the next guy is expected to do the same exact thing the first guy did. Not here. Every guy has different strengths, so they use every guy differently." 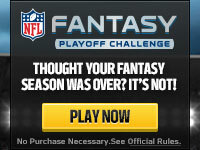 So why is this viewed as the least attractive contest of Wild Card Weekend? Start with the notion that neither of these teams has truly been tested during their winning streaks. 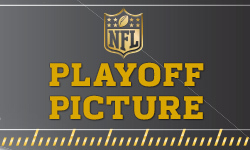 The Chiefs did not face a playoff opponent in their final seven games of the season. They started 1-5 against teams with a combined winning percentage of .625 and closed out the season 10-0 versus teams with a combined winning percentage of .419. The Texans gorged on the toothless AFC South to the tune of a 5-1 record while managing an uninspiring 4-6 record against opponents outside the division. Hoyer has been discarded by five teams in the last five years. He was benched twice for Mallett in the first month of the season. Whereas Hoyer has the benefit of entering January with low expectations, Alex Smith is still trying to shake the "game manager" pejorative and live up to his franchise quarterback contract. Smith entered midseason with a dubious reputation for coming up short on third downs and two-minute drills. His penchant for throwing short of the sticks in key situations inspired a new metric, dubbed "ALEX" in his honor, to measure a willingness to attack downfield when the situation calls for it. Since then, however, Reid has placed the offense in his hands, trusting Smith's high football IQ at the line of scrimmage. "I tell him, he's got the keys to the car," Reid explained to TheMMQB's Jenny Vrentas. "He's got ways in and out of plays, really every play, and I've got confidence that he can do it." A more confident and aggressive Smith is playing the best ball of his career during the Chiefs' 10-game winning streak, winning inside and outside the pocket like a poor man's Russell Wilson. Belying his reputation, he has authored two of the finest playoff performances of the past half-decade in instant-classic shootouts versus the Saints and Colts. In fact, he boasts the most passing touchdowns (9) without an interception in postseason history. Can he continue that playoff success against the best defense he has faced in January? It's natural to wonder how Houston's smoke-and-mirrors offense will move the ball versus Kansas City's swarming defense, but this game offers a more naturally enticing matchup. Who can win the race to the quarterback between J.J. Watt and Whitney Mercilus versus Justin Houston and Tamba Hali? Watt and Mercilus are the NFL's most effective pass-rushing tandem, racking up 29.5 sacks this season. Since 2013, the combined 64 sacks by Houston and Hali are second only to the Houston duo's total of 72.5. The most dominant defensive force of his generation, Watt leads all defensive linemen in sacks (17.5), QB hits (50), tackles for loss (29) and passes defensed (8). He's the best player on the field every time he lines up against quivering guards and tackles. Watt and Mercilus have a major advantage against a Chiefs offensive line that run blocks exceptionally well but allows sacks at one of the highest rates in the league. The battle between the Texans' offensive line and the Chiefs' front seven could be decided by injuries. Hali (thumb) returned for the regular-season finale. Houston (sprained PCL) will join him this weekend after missing the last five games. Can they exploit the absence of Pro Bowl left tackle Duane Brown, who suffered a season-ending quadriceps injury last week? The Texans can take solace in stand-in Chris Clark's experience while protecting Peyton Manning's blindside during the Broncos' 2014 playoff run. Since Week 8, the Texans have held five of nine opponents (Titans twice, Bengals, Saints, Jaguars) to exactly six points. ... Over that span, they are the only team in the bottom third on offense with a positive point differential (+71). ... The Texans are the seventh team since 1950 to start four or more quarterbacks in a season and make the playoffs. The 1984 Bears are the only one of that group to win a playoff game. ... DeAndre Hopkins is the only player in NFL history to post a 100-yard receiving game under four different quarterbacks in the same season. ... Houston's backfield trio of Alfred Blue, Jonathan Grimes and jitterbug Akeem Hunt have averaged a combined 5.4 yards per carry over the past month, as the coaching staff caters to each back's strengths. ... The Texans' third-down defense (28.5 percent conversion rate) is the best the NFL has seen since the 2003 Titans. ... Since the sack became an official statistic in 1982, J.J. Watt and Reggie White are the only players with at least 17.0 sacks in three different seasons. ... Watt has 101 QB hits over the past two seasons. Since that statistic was first tracked in 2006, Jared Allen is the only player to amass 100 QB hits over a three-year span. ... Houston finished in last place in Football Outsiders' metrics for special teams. Kansas City's current eight-game playoff losing streak is tied with Detroit for the longest in the league. ... The Chiefs haven't lost a game since the Royals made it to the World Series in October. ... Over the past five seasons, Alex Smith trails only Tom Brady, Aaron Rodgers and Andy Dalton in quarterback wins. ... Among running backs with at least 70 attempts, Spencer Ware's average of 5.6 yards per carry is tied for first. ... The Chiefs' 19 rushing touchdowns are tied for the NFL lead. ... Jeremy Maclin finished the season with the best hands in the league, dropping just one of 120 targets. He joined Michael Crabtree as the only players ever to accrue at least 1,000 receiving yards under Alex Smith. ... Chiefs cornerbacks combined for just one interception in 2014. Rookie Marcus Peters has eight this season, tying for the league lead. Peters is also tied for the most passes defensed and ranks seventh among cornerbacks in opposing passer rating (55.5). Brace yourself for a low-scoring slobberknocker featuring fleeing quarterbacks. Neither of these teams are allowing more than 13.0 points per game since midseason. The offenses, on the other hand, are low on playmakers, forcing the coaching staffs to get creative with option, read-option, jet sweeps and Wildcat looks. Don't be surprised if the decisive play is of the gadget variety or a defensive score. Watt is especially monstrous at home, with 11.5 sacks and 36 QB hits in eight games. Now that his cast has been removed -- unleashing maximum beast potential -- I'm siding with the disruptive Texans defense in a bruising bout.